This is the time of year for holiday parties and family gathers are on heavy rotation. I know I personally have a few holiday events on my schedule that call for chic dresses and glittery accessories. 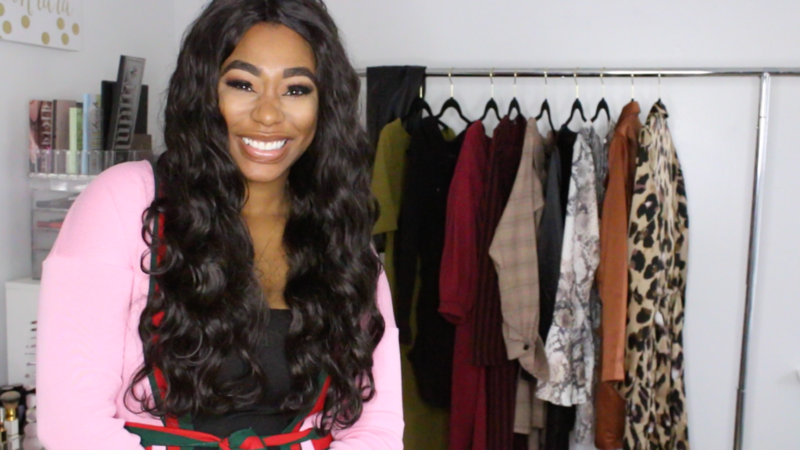 I had the opportunity to partner with BooHoo.com on today’s video. I selected a few fall pieces to add to my wardrobe and decided to may it a try haul style video. Of course the day I decided to try all these items on for you all its extremely cold. So I hope you appreciate my effort because a sista was freezing outside trying to be cute. BooHoo was kind enough to offer my readers 55% off their entire purchase by using promo code CHIMERENICOLE at checkout. Yes, you read that correctly, 55% off. This is on the entire site so make sure you start your holiday shopping. Check out the full video below as well as links to all of the products I mentioned. 2.Satin Double Breasted Self Belted Blazer Dress https://go.magik.ly/ml/ho9u/.